Health is the most precious thing, we have been, and a healthy lifestyle is currently very much in vogue. 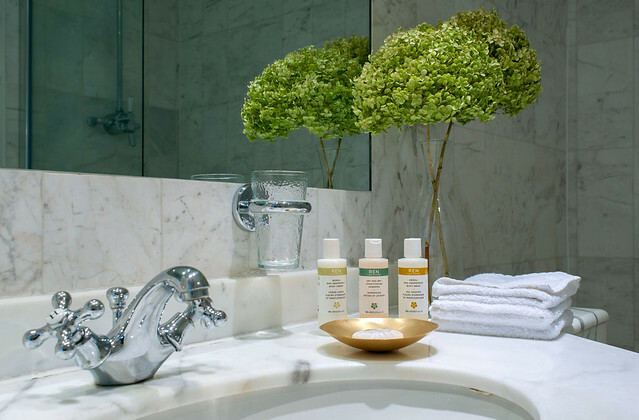 The home bathroom is turning into the home spa, where the health-promoting treatments such as changing showers, aroma baths and body scrubs take place. The importance of the bathroom for relaxation can not be high enough. This has the place of the cleaning rituals, spa treatments and body care. As could be seen at this year's International Furniture Fair IMM-Cologne, the wet room is now the same as the kitchen, which became a living-kitchen: the bathroom is slowly becoming a living space that invites you to linger. In addition to the toilet, washbasin and bathtub, more fittings in the bathroom are now becoming more important: furniture such as chairs, loungers and sofas, but also accessories in the form of textile covers and decorative lights are becoming more important. Those looking for a bathroom renovation should consider the use of natural materials. The industry is currently looking for solutions to make solid wood usable in a warm, humid climate, while marble is becoming the latest material trend in the bathroom. The natural stone provides comfort in the bathroom and the popular "clean look". In addition, marble is considered to be particularly durable. To the spa-like ambience u. a. decoratively folded or rolled towels. For the towel rolls, the towels are first folded longitudinally and then rolled up. If you like it special and want to astonish your guests, you can fold your hand towels using the origami technique for artful motives, eg. B. to a swan or a flower. Here are instructions. For a particularly pleasant stay in the bathroom provides gentle, indirect light. And of course, for certain procedures in the bathroom should not be missing a well-lit mirror. A full-length mirror illuminated on the left side or on the top and bottom not only miraculously makes small bathrooms appear much larger. He also donates pleasant, indirect light, for example when bathing, and is also perfect for makeup and shaving. So beauty care becomes a relaxation ritual in a soothing atmosphere. Plants bring a touch of nature into the bathroom, on top of that they ensure a better indoor climate. However, the conditions for potted plants are not always optimal in humid and often poorly lit rooms. With relatively little light comes, for example, the single leaf (Spathiphyllum). Efeutute (Epipremnum aureum) and mountain palm (Chamaedorea elegans) also feel well in shady spots. However, as with most plants, waterlogging should also be avoided in these specimens. If you distrust your green thumb, you bring freshness to the bathroom with cut flowers. Even the most beautiful bathroom is not a pleasant place to stay, when the mold has blackened the joints, the lime cover covers the tiles and water stains obstruct the view of the reflection. Against the deposit of lime it is sufficient to wipe off the water immediately with a dry cloth. A mild sanitary cleaner without too much acid is well suited for limescale removal at the faucets. Cleaner made of citric acid or vinegar against lime is simple and ecological. Often only the replacement of joints remains, if a chlorinated joint cleaner does not help.